Welcome to another Top-Deck Tutor! Today’s piece is hypothetical since fate has cursed me to not be in the MTG: Arena Closed Beta. I’m going to focus as close to Ixalan/Standard as I possibly can since I know it will have Ixalan cards in it. The above card’s not in the deck but I mention it (Sanguine Bond) later. 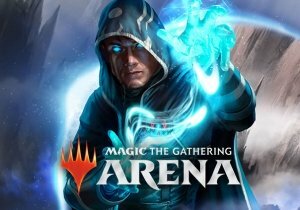 Magic: the Gathering is a very expensive card game. But just because some of the best decks cost thousands of dollars, you can definitely still win on a budget. I’ve had decks that cost less than the sleeves I bought for it and stomped around my college and local card shops with, without any issue. While I love Control/Combo decks, they are almost always on the higher-end of the wallet-breaking scale. I haven’t messed around very much in Ixalan, since again, MTG is an expensive beast, but here’s a deck I was experimenting with that I think, if all of these find themselves in Magic: the Gathering Arena, it could do a lot of good for just about anyone. Today’s deck build: Black/White (Budget) Vampires. The way this deck plays is terribly simple. No risky combos, no particularly hyper-expensive cards. You play low-cost Vampires with amazing, useful powers, and you just stomp. A little bit of creature control, a little exile, some lands that you can use for colorless mana or pay 1 life for colored mana (white or black, obviously). I don’t think this deck had anything over two bucks in it to boot. So if you want to run it at your local card shop, you could very easily do that as well. These aren’t “money” cards. You’re probably not going to take it to a GP or something and go undefeated. But it’s fun, it’s easy to build, and depending on how MTG: Arena lets you acquire cards, this one should be easy to collect, and satisfying to play. Found a permanent that shuts you down? Not anymore! Characteristics: From monetary cost to mana cost, this one’s cheap as Hell. The mana curve sits at a very comfortable “two”, but there are a few four drops in this deck, not to mention Dusk // Dawn which is a whopping 9 mana for both spell effects! But the majority of cards in this deck sit at two mana and are very easy to play. Like I said, there’s no serious strategy going on here. You play the right Vampire at the right time, enjoy some lifelink and deathtouch. There’s a whole heap of that in this deck. Since you’re running two lands that cost life to play white/black mana, you’ll want to be using those lifelink Vampires as frequently as possible. This is not a deck where you’ll sit idly by and just wait for something to happen. You’re going to want to attack, and attack often. You find which permanent your opponent is going to play that will ruin your time, and you put it out of your life with Ixalan’s Binding, which exiles that card and your opponent cannot play cards with that name as long as Binding stays in play. So at least you’ll slow them down, but at best, it’s gone forever. And the way the card reads, even if it has immunity to colored spells, it will still hit them. Dusk // Dawn is your big, late-game winner to boot. Very few cards in your deck are 3/3 or better, so it will wipe a lot of foes away, and you can bring all your dead vampires back to life with the Dawn effect. Keep this in your pocket for emergencies. Mavren Fein's one of my all-time favorite Vampires. Strong/Weak Matchups: This is ideal (in my opinion) against slow-moving decks, tempo, and control decks. Most control decks that I run are light on creatures, only running the necessary ones for their deck type. So you bait out the counterspells, then you bury those few creatures they are running. From there, it’s just a matter of overrunning them with your Vampire hordes, creating tokens, gaining that life lead and securing the win. But this is not an invincible deck. Like most creature-based decks, if you let your opponent get any measure of board-wipe on the table, you’re done for. And since you have no counterspells, you have to act as fast as possible and hope Dusk//Dawn is lying about to bring your non-token Vampires back. Merfolk are strong against this, making at least one card in your deck useless (Walk the Plank). Not to mention R/U decks with lots of board-wipe, creature damage and counterplay will be a nightmare. The longer the game goes on, the harder it becomes to win against those decks because the big, expensive AOE spells are on the way. Bishop of Rebirth creatres a really unforgiving combo in this deck. Thoughts on Cards: All around, this deck was a lot of fun to put together. Sure, there are a few higher-cost cards, but those 1 and 2 drops early game are meaty. I was torn on putting Bishop of Rebirth in the main deck, but its ability to return a creature card from the graveyard (3 mana cost or less) onto the battlefield is not to be ignored. Combine that with Mavren Fein, Dusk Apostle and you always have an army. Anytime one or more non-token Vampires you control attack, you create a 1/1 white Vampire creature token with lifelink. Now I know you might say, 1/1 with lifelink? That’s dumb. It’ll just die to whatever chump blocker they have! And … that’s the point! They aren’t supposed to stick around forever. Their only purpose in life is to be born, feed you and then die. Either they block it and you gain one life, or they don’t and you gain one life and they lose one! But always make sure to swing with a non-token also so you keep getting more and more creatures. It’s a lovely combo of infinite lifelink Vampires. Not to mention if you wait a few turns and build up, you can in theory turn this into a sudden defeat for your foe. Let’s say you know they have no board wipe, and no control for your creatures. This is a really ideal situation but I wouldn’t count on it. But if you know this, you can drop a late-game Bishop of the Bloodstained, which makes an opponent lose 1 life for each Vampire you control. Most of the sideboard/suggested cards are spells though. Duress makes your opponent reveal their hand. Then you make them discard a non-creature/non-land card. Seeing their hand is enough in and of itself, even if they have nothing you can discard. If your opponent’s running Planeswalkers, Vraska’s Contempt is a solid answer, as it lets you exile a creature or Planeswalker (and you gain 2 life!) This deck makes me wish Sanguine Bond was legal. This card reads “Whenever you would gain 1 life, target opponent loses 1 life”. You can see where that’s going, I’m sure. But this deck has no bad cards, Kaiba. Gifted Aetherborn has deathtouch, lifelink and is a 2/3. It would survive the Dusk // Dawn bomb and keep right on swinging. Sanctum Seeker is another really fun mid-game card. Whenever a Vampire you control attacks, each opponent loses 1 life and you gain 1 life. That’s beautiful. So whenever those tokens swing? It’s guaranteed two life back. This deck forces your opponent to deal with your Vampires in a hurry, and as long as you keep producing them, it’s going to be a sad, sad time for them. This is not the end-all be-all for this deck either. There are so many cards I could take away/add to it! But I hope you can use it as some food for thought! Super Senso by GungHo Online Entertainment America is on its way to Europe later this month. KingsIsle Entertainment has announced that beta has begun for Pirate101. This past weekend, pro-gamer Sam "Milkfat" Braithwaite set a new world record for Longest Strategy Game Marathon. Weekly Recap #336 October 26th - New Warframe Expansion, Fortnite Delays, And More!